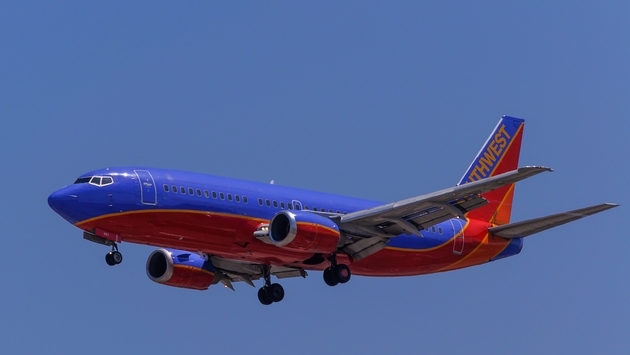 A gay couple from Florida is reporting that they were discriminated against by Southwest Airlines after being denied family boarding privileges Saturday. According to WGRZ.com, Grant Morse, his husband and their three children were preparing to fly from Buffalo, New York, to Fort Lauderdale, Florida, when the gate attendants called for families to begin pre-boarding. As Morse and his family approached the gate, an agent reportedly stopped the group and said that it was for families only. Morse said that he travels often with Southwest but had never experienced anything like this before. “I feel as though we were profiled the minute we walked up the boarding area,” Morse told WGRZ. While Morse understands the policy, he said the employee did not treat his family respectfully. Prior to the departure of Flight 5136 from Buffalo to Fort Lauderdale on May 20, we welcomed all families to board the aircraft during Family Boarding between the “A” and “B” boarding groups. Our Operations Agent informed two parents that another member of their group was ineligible to board under Family Boarding and asked that she board in her assigned boarding group. This conversation in the boarding area had nothing to do with discrimination; we welcomed both parents to board the aircraft with their children. The parents expressed disappointment that the Family Boarding policy was not applicable to another member of their group. The two parents did not agree with our policy, and our Flight Crew worked to save seats together on the aircraft for the family as the conversation continued in the gate area. Our Family Boarding Policy is explained on Southwest.com, and our Employees work hard to follow the policy to accommodate families traveling together while also maintaining boarding priorities for all of our Customers. The report from Morse and his family run antithetical to Southwest’s support of the LGBT community. The airline has community partnerships with a variety of organizations dedicated to LGBT causes and initiatives.